Sennheiser MM 400-X review | What Hi-Fi? We love Bluetooth when it’s of the aptX variety, and thankfully the audio-friendly tech is finally starting to hit more and more devices. In fact, you may well already own one with it built in, such as a MacBook running OS X 10.6.4 or later, or the new HTC One X or Samsung Galaxy S3 smartphone. If you’ve got one of those you should really take advantage by adding a pair of these aptX-toting Sennheiser MM 400-X headphones. 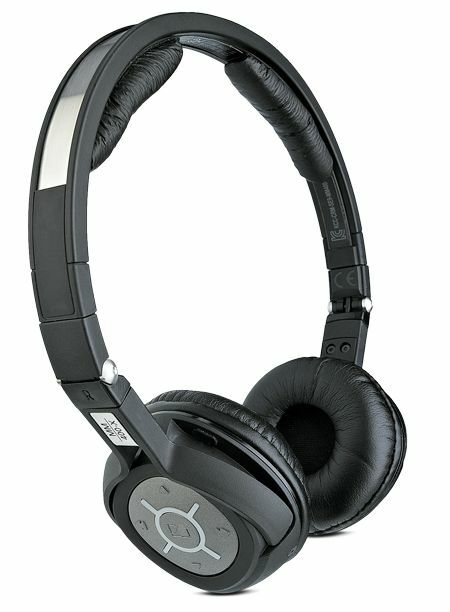 Like the Sennheiser PXC 310 BT before it, this Bluetooth headset boasts a very compact, lightweight and foldable design, a set of controls on the right-hand cup for navigating your music, and the option of connecting a cable for going wired when you’re on a plane or when the 10-hour battery runs out. There’s even a built-in mic for smartphone users. In fact, the only thing missing is noise-cancelling, which is available if you stretch to the MM 450-X version. Most importantly, these high-tech headphones sound great. They’re not the deepest deliverers of bass, but they’ve got plenty of detail and directness, especially in the vocals. True, they’re not quite up to the standard of wired headphones at the same money, but if you want the convenience of Bluetooth in a very portable and sonically capable headset, you really can’t go wrong with these Sennheisers.